The creation of lightsabers, along with the significance and source of their color, changed in the new canon. 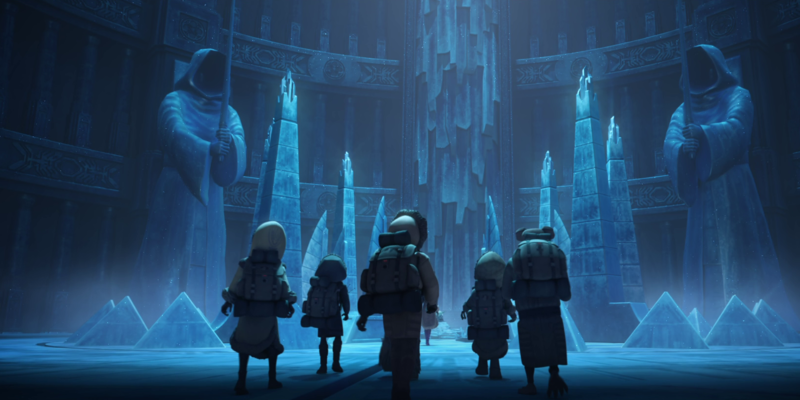 The process and product were explored in Star Wars Clone Wars. At their Gathering ceremony on the planet Ilum, Jedi initiates bond with a kyber crystal. Before the crystal bonds with the young Jedi, it is colorless. Afterwards, it changes to a color, usually blue or green, although it has been known to change into a different shade, such as yellow, purple, or even white. The color no longer denotes the class or type of Jedi that wields it. The Jedi padawan then constructs their own lightsaber, constructed around a kyber crystal under the supervision of Huyang at the Crucible. There are seven recognized forms of lightsaber combat that the Jedi utilize: Form I (Shii-Cho, a rudimentary form), Form II (Makashi, a dueling form), Form III (Soresu, a close-combat form), Form IV (Ataru, an acrobatic form), Form V (Djem So, a blaster-reflecting form), Form VI (Niman, a form that incorporates Force pushes and pulls), and Form VII (Juyo, an aggressive form).